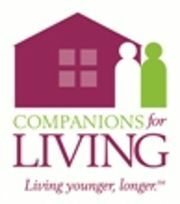 Companions for Living specializes in companion, homemaker, personal care and memory care services. We are a holistic company that provides services to enable seniors anddisabled individuals to remain at home safely and independently. Rate and review Companions for Living, LLC in West Hartford, CT, United States! Share your experiences at Companions for Living, LLC with your friends or discover more Health and Medical in West Hartford, CT, United States.